Consumption determination of fabric is a very important term in the textile sector. Since it depends on fabric prices therefore accurate and closure consumption will reduce fabric wastage which will be beneficial for us economically. So, we should keep proper knowledge of fabric consumption properly. Here today I am going to present fabric consumption of a basic polo-shirt. Fabric consumption for a body part. Fabric consumption for a pocket. For calculating fabric consumption of a basic polo-shirt following measurement will be needed. Note: Here I have made consumption of polo shirt which has a pocket. Here I did not mention collar and cuff consumption because maximum time in a polo shirt there is used a flat knit collar and cuff. 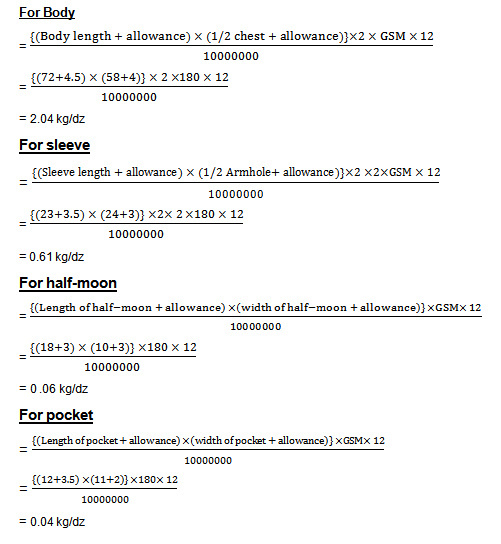 Tagged calculation of consumption of polo shirt, calculation of consumption of shirt, Consumption determination of fabric depends on, Fabric Consumption of a basic Polo-shirt, Fabric Consumption of a shirt, Fabric Consumption of Polo shirt, Fabric consumption per dozen, how to calculate consumption of polo shirt. it was good information .. thank you . 2.97 kg/dj ok but 2.43 ? Dear thnx , but u have to know CAD consumption to make perfect costing……………. Sattar bhuiyan… if you have clear concept about CAD consumption then let us know from you. Please write for us an article about this. Which part of polo-shirt Is called half-moon? Really nice and informative article . . If we are using self fabric neck tape? Then how to calculate its consumption? Its very effective for us,thank u so much. How can I convert this to metres? 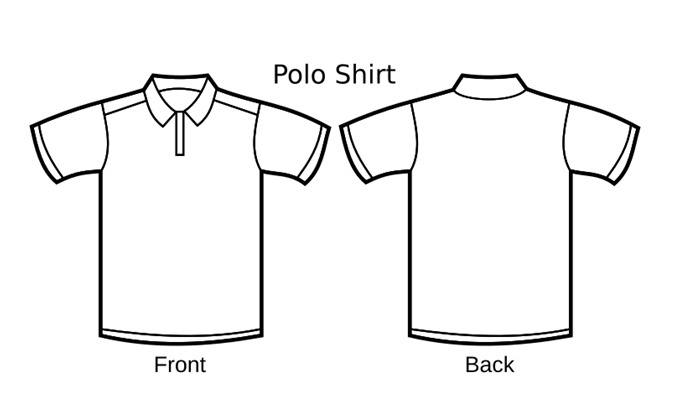 I.e a polo shirt uses 1.2m of fabric in a garment.